VIVOBAREFOOT recently sent us a pair of shoes to review. These pretty shoes are called Pally and they look absolutely comfy! As we all know, walking barefoot is more comfortable and healthy, yet we can't do this in today's life! I also like that they produce their shoes using recycled, locally sourced materials, with efficient and eco-friendly production techniques. Defne has been wearing these shoes for a few weeks and absolutely loves them. She says they are very comfortable,too! You can buy VIVOBAREFOOT online. They also have shoes for men and ladies. I have never bought shoes online before so I was a bit nervous about getting the right size. So I had Defne's shoes measured at a local store and ordered that size.They fit perfectly fine! 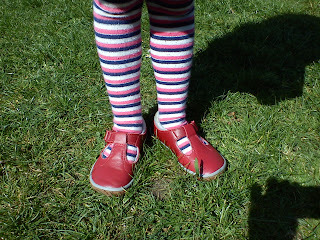 VIVOBAREFOOT kindly offered to giveaway a pair of Kids shoes to one lucky Smiling like Sunshine reader. The winner will be able to choose the shoe and the size. To enter the giveaway, leave me a comment telling me why is barefoot best for kids. (mandatory entry) Please enter through the Rafflecopter system. Rafflecopter will like, tweet and follow on behalf of you. By entering the giveaway, you agree to subscribe to VIVOBAREFOOT's e-mail list. Barefoot is best for kids because it has a patented puncture resistant, ultra thin sole allows which allows infinitely more sensory feedback than normal shoes, with the same protection. it has a patented puncture resistant, ultra thin sole allows which allows infinitely more sensory feedback than normal shoes, with the same protection. Barefoot's best because "the more you can feel the ground, the greater your body’s understanding of its surrounding environment and natural movement". Plus real-life barefoot means you can squish mud between your toes in the summer! 70% of your brain’s information for movement comes from the nerves on the soles of your feet; the more you can feel the ground, the greater your body’s understanding of its surrounding environment and natural movement. Barefoot is best because it's the natural way to be. i really really love these shoes - my son hates anything on his feet, i bet he'd love these. i want to try some too! barefoot is best for kids beacuse - 70% of your brain’s information for movement comes from the nerves on the soles of your feet; the more you can feel the ground, the greater your body’s understanding of its surrounding environment and natural movement. "If the cartilage is deformed by badly shaped or rigid shoes, the bone will take on the deformed shape." Barefoot is best because...70% of your brain’s information for movement comes from the nerves on the soles of your feet; the more you can feel the ground, the greater your body’s understanding of its surrounding environment and natural movement. Because 70% of your brain’s information for movement comes from the nerves on the soles of your feet; the more you can feel the ground, the greater your body’s understanding of its surrounding environment and natural movement. 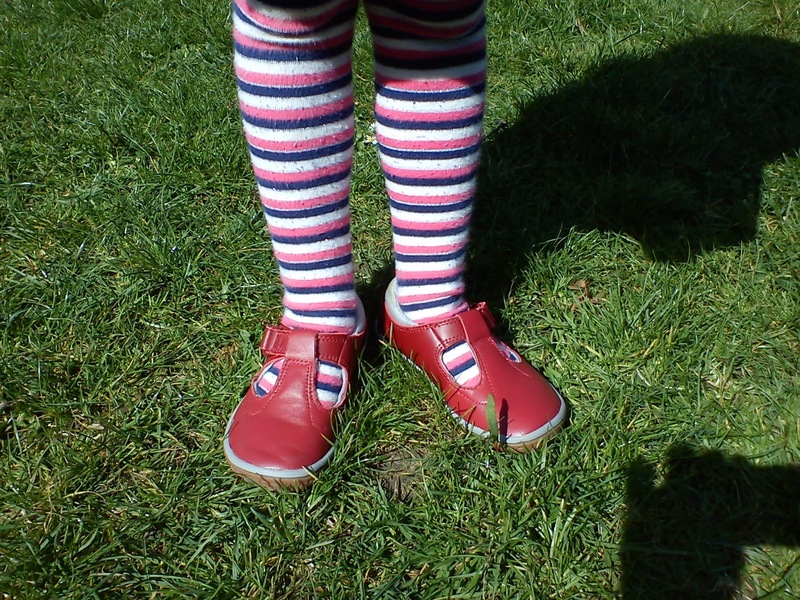 Barefoot is best for kids because their feet don't get squished in to rigid shoes so develop correctly, they have much more awareness of what they are walking on and it is fantastic for balance. Like everyone else has said "70% of your brain’s information for movement comes from the nerves on the soles of your feet; the more you can feel the ground, the greater your body’s understanding of its surrounding environment and natural movement." Barefoot is best because it allows you to receive proper sensory input which is a HUGE thing when you have a child with a sensory processing disorder and they crave sensory input. It allows the child to feel grounded and secure. My daughter loves barefoot shoes as it makes her run faster. When she used to wear 'normal' shoes she was SLOW as her feet could not move properly, now she has barefoot shoes, she has no problems running as fast as she can. My daughter loves to go barefoot, but when shoes are a must, these would be great. You can check out my minimalist slippers at www.wooly-baby.com, too. Thanks for the chance! Barefoot allows you to get more sensory feedback for each of your steps. It has a patented puncture resistant, ultra thin sole which allows infinitely more sensory feedback than normal shoes, with the same protection. It has a patened puncture resistant thin sole!